The only way Zimbabwe can qualify for the World Cup is in the scenario of a tie but (in which each side bats for, at least, 25 overs). In this situation, Ireland’s net run-rate will drop behind Zimbabwe. The United Arab Emirates broke around 20 million hearts and made nearly 50 million friends when they all but eliminated Zimbabwe from the ICC Cricket World Cup 2019 race to give Afghanistan and Ireland a lifeline by turning their last Super Six match as a shootout for the last remaining spot in the ICC’s pinnacle 50-over event which will be staged in England and Wales from 30 May to 14 July. 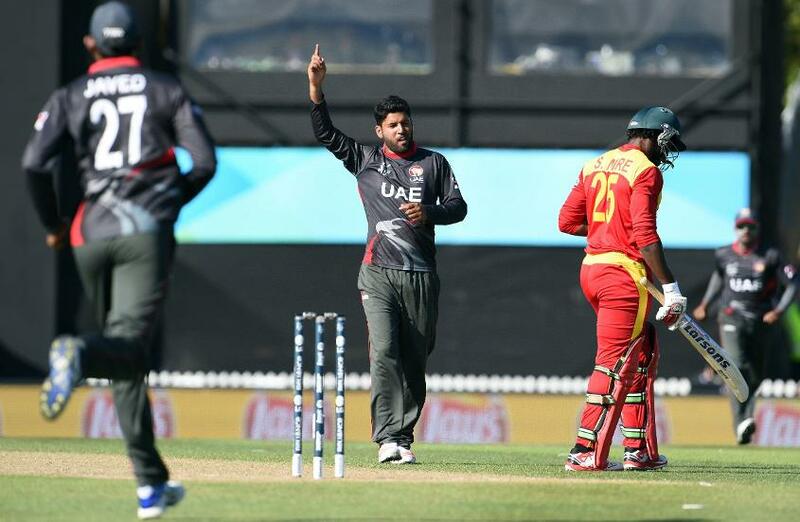 The UAE, who were out of World Cup contention last week after losing to Scotland, did a huge favour to Afghanistan and Ireland, when against all odds and expectations, they defeated Zimbabwe by three runs in the penultimate match of the ICC Cricket World Cup Qualifier 2018 Super Six in front of a packed to capacity Harare Sports Stadium. Thursday’s result means the winner of Friday’s match will become the second qualifiers after the Windies to qualify for the ICC Cricket World Cup 2019 and will also feature in Sunday’s final. Apart from the significance of this match, it will be Niall O’Brien’s 100th ODI while Rashid Khan will be looking to claim four wickets to become the quickest bowler to 100 wickets. A vibrant, lively and cheering crowd of around 12,000 spectators couldn’t dampen the spirits of the UAE players who saved their best performance of the tournament for Zimbabwe’s most crucial match to knock them out of contention for a place in the World Cup. The UAE also got a stroke of luck when rain came down in force with their score at 235 for seven in 47.5 overs. However, when play resumed after a loss of 119 minutes (including 30 minutes of lunch break), Zimbabwe’s target was revised to 230 in 40 overs. The UAE then turned the heat on the Zimbabwe batsmen when they reduced them to 45 for three that included the prized scalp of the tournament’s leading run-getter Brendan Taylor. 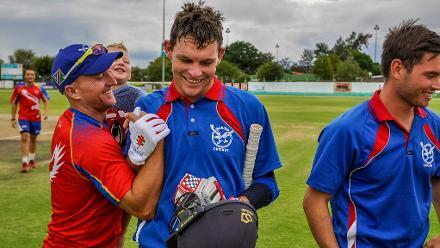 Sean Williams and Peter Moor, playing his first match of the tournament, lifted them to 124 before the climbing required run-rate resulted in the demise of Moor (39). When the last eight-over Power Play started, Zimbabwe needed 70 to win but despite Sikandar Raza (34, 26b, 2x4, 1x6) and Williams’ (80, 80b, 5x4, 1x6) best efforts, finished at 226 for seven. It was the third time in this tournament that an Associate member defeated a Full member. Earlier, Scotland had beaten Afghanistan, while Hong Kong also beat Afghanistan. Earlier, the UAE, put in to bat, were 235 for seven in 47.5 overs when heavy downpour ended their innings. Rameez Shahzad, who scored 112 against the Windies but then missed matches due to illness, returned to finish as his side’s top scorer with a 61-ball 59, which included four fours and two sixes. Ghulam Shabbir (40), Shaiman Anwar (33) and Rohan Mustafa (31) were the other contributors, while Zimbabwe’s Sikandar Raza was the most successful bowler with three for 41. He is now his side’s leading wicket-taker with 12. Zimbabwe 226-7, 40 overs (Sean Williams 80, Peter Moor 39, Sikandar Raza 34, Craig Ervine 22 not out; Mohammad Naveed 3-40, Rohan Mustafa 2-56).